The VHS tape design was never intended to last a lifetime, only as long as the fragile tape could survive. If your VCR managed to spare your precious home videos, chances are there is still enough time to salvage the videos before they begin to deteriorate. Preserving family videos is an important task, because no one wants to lose memories of their loved ones. David Croxton, owner of Video Conversion of Florida, knows the importance of preserving memories. Working in the church music field, Croxton first began his quest to convert tapes when he was converting cassettes to CD for his church choir. For more than six years Croxton has been running his successful business converting home movies, slides, cassettes, records, reel-to-reel, 8-track tapes and more. Knowing that each conversion is essentially saving a piece of history in someone’s family tree is rewarding to him. Many people may have the equipment at home to do a home-based conversion of some media, however, the time and effort it takes is usually a hindrance for most people. 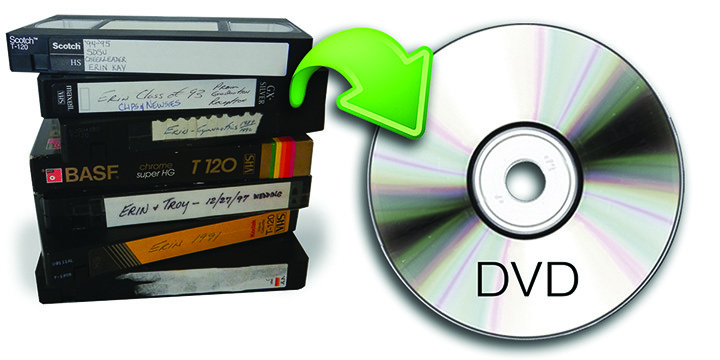 With Christmas right around the corner, this is a perfect time to pull out old VHS tapes or reel-to-reel movies and have them converted to DVD as a gift. Mentioning this story when placing your order will give you a 10 percent discount and placing your orders soon can guarantee a Christmas delivery. Video Conversion of Florida has four drop-off locations including Lakeland, Plant City, Riverview and Sun City Center. There is also a mailing option available. For pricing and more information, visit www.vidconFL.com or call 758-3181.